Published: 2012-12-18, by Manu Galvez. The original, the well-known, the undisputed app that has changed the way we send message to our friends and acquaintances... (drumroll) Whatsapp Messenger. The strength of the application lies, firstly, in its “cross-platform” nature: this means that it can be used from Android, iOS, Symbian, Windows Phone and RIM (Blackberry) devices. So you can have conversations with all your contacts, no matter what OS they're using. This kind of integration is what users really appreciate. Secondly, its interface is simple, easy and attractive. Status, bio and user profiles can be edited. 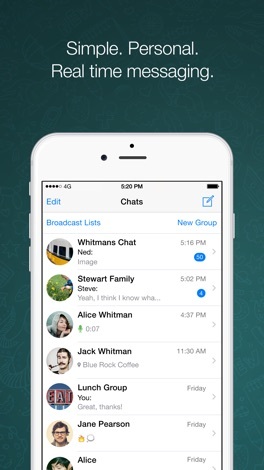 This makes it even more interesting since phonebook contacts using Whatsapp are automatically integrated to the app. It is focusing on becoming more and more social. Finally, it has plenty of great features: you can create a list of block contacts, create chat groups on a specific topic, chat settings (font size, type mode, your nickname, status message), and notifications settings (ringtone for specific contacts, vibration, pop-up,...). 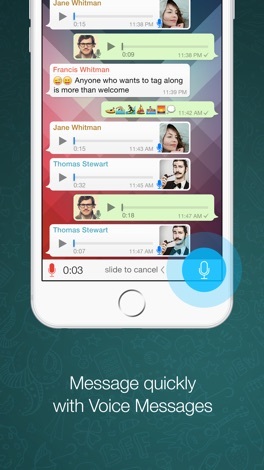 Likewise, you can send emojis, pictures, videos, voice clips and URLs. Its push-notifications make all the difference: you can access any conversation from the pop-up you will see when receiving a message. The only catch of this app is that they depend on the amount of contacts and friends are using it. Obviously, you will end up using the one that your relatives use. Whatsapp is the leading push-notifications service in most of the world, not the one though. 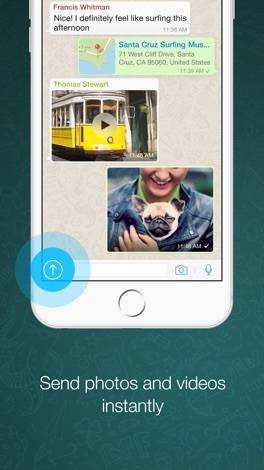 Yoo Messenger is a messaging app available for iPhone and other smartphones. Yoo uses your phone’s Internet connection (4G/3G/2G/EDGE or Wi-Fi, as available) to message and call friends and family. Switch from SMS to Yoo to send and receive messages, calls, photos, videos, and Voice Messages.